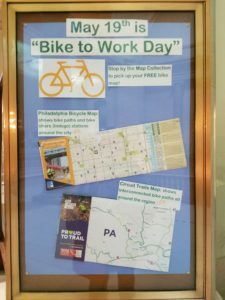 Friday, May 19 is Bike to Work Day! Philadelphia is full of bicycle events this month to celebrate even more bike lanes in the city! 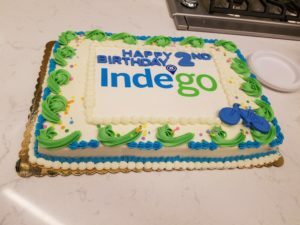 Indego, Philadelphia’s bicycle share, just celebrated its 2nd birthday, touting 1.2 million rides since opening, 1000 bicycles, and 58 group rides. 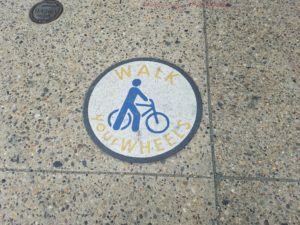 Indego offers FREE safety classes on cycling for adults. I love to ride my bike to feel the wind in my face. And it makes me feel like a kid again. 1. It’s practical / mo money! Skip the traffic – you might even get to work quicker than sitting in traffic! You won’t have to drive around searching for parking. Uncle Sam or your employer might even reimburse you up to $20 per month! Helps you meet cardio exercise goals – the American Heart Association recommends 30 minutes a day, 5 days a week. 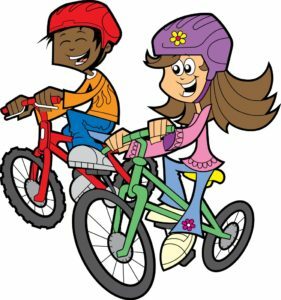 Bicycling builds muscle, lowers blood pressure, strengthens bones, burns calories, and improves lung function. Boost brain power – improved blood flow improves brain function, so riding your bike to work can make you smarter! Better mood – increase happiness, decrease stress, anxiety & depression. Cleaner air – human powered bicycles produce no air pollution. Also, air is less polluted outside than inside vehicles. It takes more materials to build a vehicle than a bicycle. See different parts of the city you might miss otherwise. Ride on paths and trails where cars can’t go! Make friends! Seeing people while riding can connect you to your community through a wave and a smile. 5. It can make you better at your job! Since you’ll be healthier, you’ll be less likely to take a sick day. Again, it boosts your brain power, increasing your focus for your work day. 6. You don’t need to own a bike to do it! 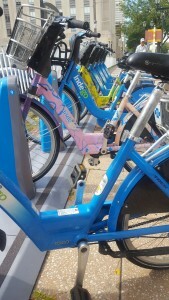 Indego bike share is extremely affordable. If you ride just one time a week on their monthly plan you still save money! Give your bicycle a spring cleaning. Plan your safest route, which might not be the shortest route. Do a practice run. Your route might be shorter on a trail or path where cars can’t go. Go Philly Go can help you plan your trip. 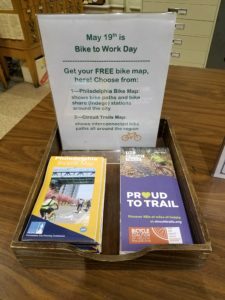 Download your free bike map here or pick up a free paper map at your local Philadelphia Free Library. 4. Split the ride. If you’re not used to biking far, ride to a public transportation stop. If splitting your commute with bus, train, or trolley, check bike policies & bike rack availability here. 5. Scope out spots to park your bike ahead of time. Bring a lock if parking outside. 6. Keep an eye out for these signs at busy intersections. 7. Bring a change of clothes. Or leave one at work the day before. 8. I like to pack a zip lock bag with a damp washcloth pre-soaked in a solution of water & Dr. Bronner’s Peppermint Soap for a refreshing wipe-down while changing. It feels like your own personal air conditioning, a little goes a long way! 9. If it looks like it might rain, a plastic shopping bag or shower cap over your seat while parked can keep your tushie dry on your ride home. 10. Pack a pump. If you’re dusting off that old bike that’s been sitting in the garage all winter, chances are your tires need some love. 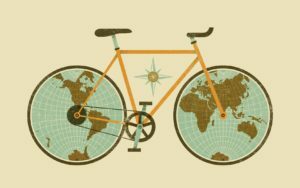 Got any favorite bicycling tips to share? Show us your bike commute by using the hashtag #mymovesmyway when you post about your favorite ways to stay active!